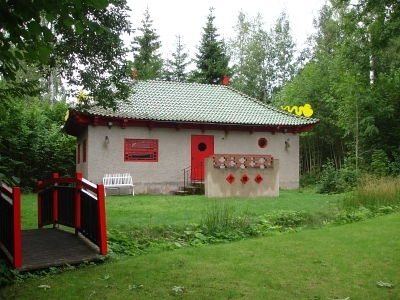 The Chinese Pavilion was built in 1956 in order to honor Hwang Tzu-Yü for his work in Sweden. Two bedrooms, a meditation room, a large cellar. 3 beds (All year use possible).